Therefore, if there ever were an extraordinary case in which immediate charges were essential — in particular, if a president committed a heinous crime that demanded justice and he refused to waive what might otherwise be an effective statute-of-limitations defense — the attorney general should overrule the Office of Legal Counsel’s conclusion that the Constitution categorically prohibits an indictment during a president’s term. Lederman seems to suggest that the prosecutor proceed only in the case of a heinous crime. 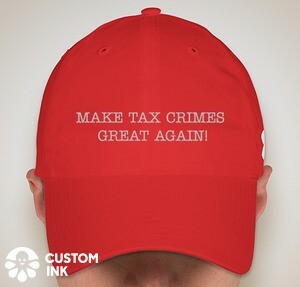 I don't think most practitioners view tax crimes as heinous crimes and likely would not view elections crimes as heinous crimes. In my mind, the President should not get a pass on prosecution for any crimes through the application of the statutes of limitations, so I would not add any qualifier. I should add for completeness here that, at least in the case of tax crimes, it could be possible to refresh an otherwise expired statute of limitations. How so? The IRS could investigate taxes for years which are then barred by the criminal statute of limitations but are not barred by the civil statute of limitations (no civil statute of limitations for fraud). The agents interview Trump. Trump lies. Assuming some materiality of the lie(s), Trump has committed a crime within the criminal statute of limitations (false statements) and for the years otherwise barred except for his lies to continue to evade tax. Of course, there may not be the administrative or political will to pursue such an investigation. See also this opinion piece in the Washington Post written by Walter Dellinger was head of the Office of Legal Counsel from 1993 to 1996 and acting U.S. solicitor general from 1996 to 1997. Should we be able to indict a sitting president? Consider Spiro Agnew (WAPO 12/16/18), here. But the most significant impediment to holding a president accountable to justice is the statute of limitations. Generally, most federal crimes must be charged within five years or forever be barred. For crimes committed while the president is in office, there will be time enough at the end of the president’s term. But if a president engaged in financial crimes before taking office, or committed crimes to gain that office, the time for charging those crimes could well expire before his or her term concluded. That is one of the reasons a grand jury should be permitted to indict a sitting president, as long as all further proceedings are postponed while he or she is in office. Unless an indictment could issue against a sitting president, there would be a perverse incentive for an alleged White House felon to seek reelection simply to avoid indictment while waiting for the statute of limitations to expire on crimes he had committed. The history of the Justice Department’s conflicting positions on this question does not categorically foreclose issuing an indictment against a sitting president.